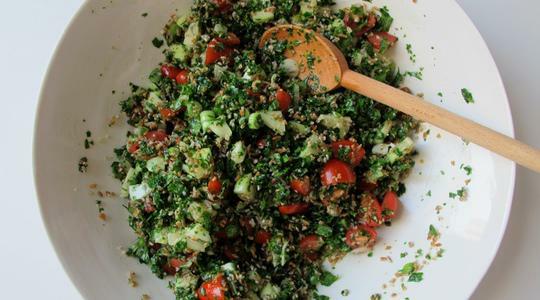 Measure the bulgur and place in a medium bowl. Cover with hot water by 1/2 inch. 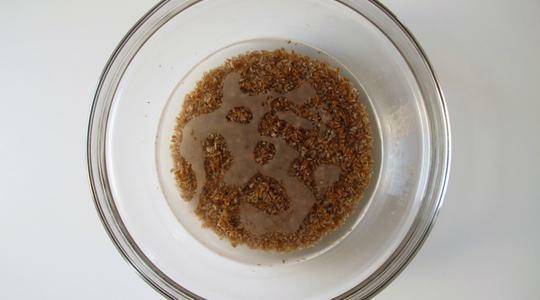 Let soak until tender, 25 to 30 minutes. Then, drain into a strainer and shake out all excess water. 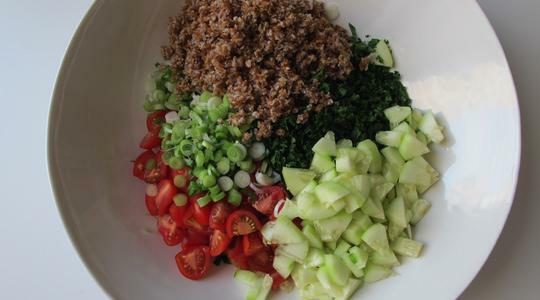 While the bulgur soaks, tear the kale leaves from their stems; discard the stems. 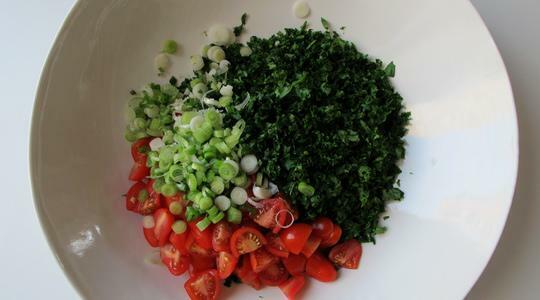 Place the leaves in a salad spinner, wash, and spin dry. 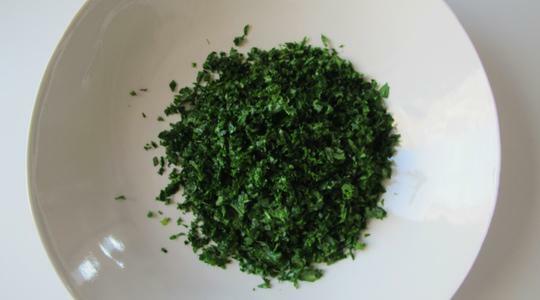 Then chop the kale into very small pieces (you should get about 2 cups). Place in a large bowl. Wash the tomatoes and cut them into quarters; add to the large bowl. Trim the roots off the scallions then peel away the outer membrane and wash. 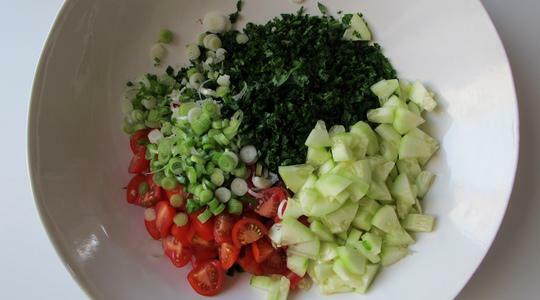 Thinly slice the white and light green parts of the scallions; add to the bowl. Peel the cucumber. Cut it into sticks then cut it crosswise into small pieces; add to the bowl. Juice the lemons and measure 1/4 cup. Add to the large bowl along with the oil, salt, and pepper (about 12 turns on pepper mill). Stir well to combine. You can store in an airtight container in the refrigerator for up to 4 days.